Update: February 5th, 2019: The book is now available for order on Amazon.ca & Chapers/Indigo. You can also nab a copy (and have it signed in person!) at the Toronto Outdoor Adventure Show, Ontario Backcountry Canoe Symposium, Ottawa Outdoor & Adventure Travel Show and Canoecopia. 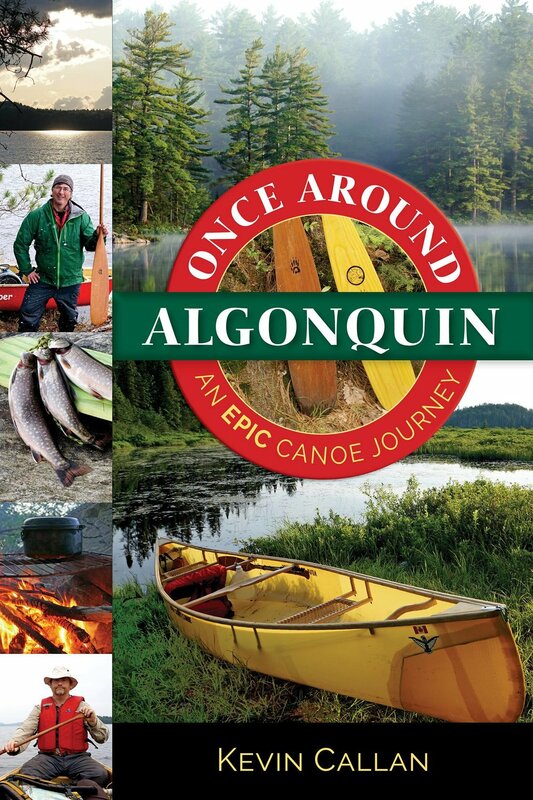 Kevin Callan has announced his latest book, Once Around Algonquin: An Epic Canoe Journey. The book follows his trip which links four Algonquin Outfitters stores serving Algonquin Park: Oxtongue Lake, Huntsville, Brent, on Cedar Lake, and Lake Opeongo. It’s not for the faint of heart, the journey is a 350-KM trip and has 93 portages! You can watch his video series to whet your appetite for the book, and be sure to attend the Toronto Outdoor Adventure Show where Kevin will be presenting on the book. We’ll let you know when we have more details as to when the book will come out. It looks like the tentative date for release is January 29th. The book will also contain other paddling routes in Algonquin.